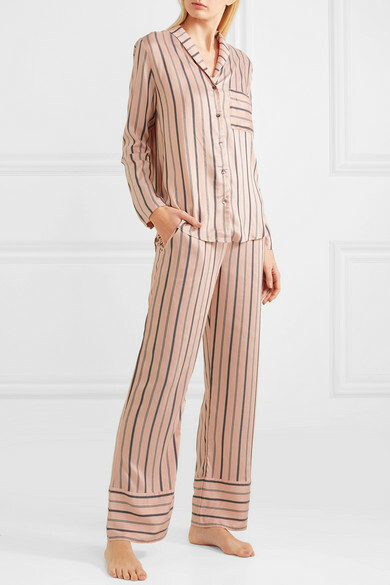 Hanro's pajama pants are from the label’s 'Malie' collection, which offers the superior level of comfort which has defined its designs for over 130 years. 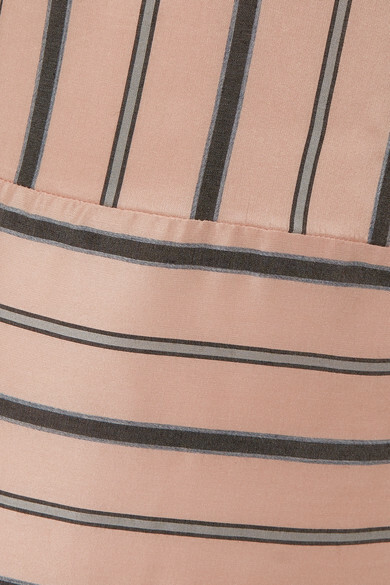 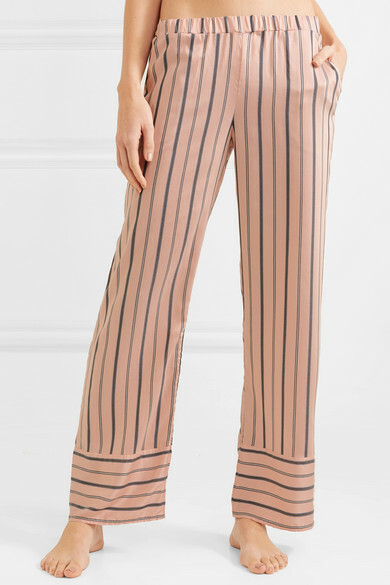 Part of a set with the matching shirt, this pair is made from fluid satin-piqué decorated with pretty blush and gray stripes and has wide contrast cuffs. 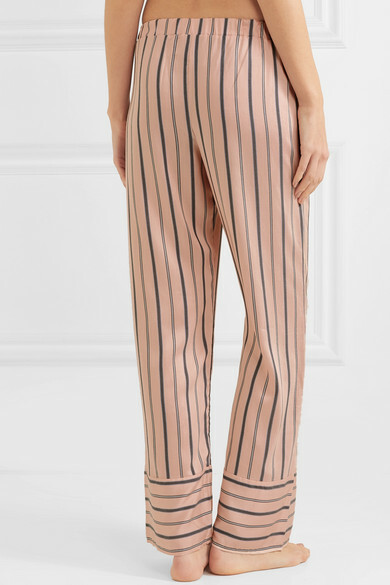 The elasticated waistband ensures a comfortable fit for sleeping or lounging.